Since Christmas, I've been ignoring the food magazines that have fallen through the letterbox, mainly because I have found them boring and uninspiring of late. On Saturday, BBC Good Food Magazine arrived and so I thought I'd see if things have got better. As one might expect, the focus for the March publication is 'Easter' - 'Easter starts here' is the cover headline. Well, lets see if its going to get my taste buds longing for Good Friday and Easter Sunday feasts. 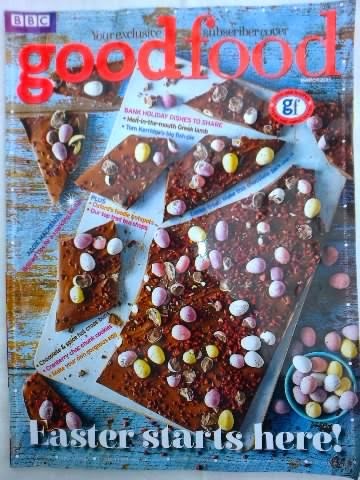 Sadly, there is a warning from the editor on the first page, ''What we love about Easter is that there are no rules when it comes to food, you can choose the way you want to celebrate.'' That gives the magazine carte blanche to serve up all and everything under the banner of 'Easter' and so it does - Greek food to Portuguese custard tarts to Spanish tortilla. Thankfully, there is still a mention of Easter eggs and hot cross buns, but they are hidden away among all the noodle and chickpea recipes and the food of the moment, quail's eggs. 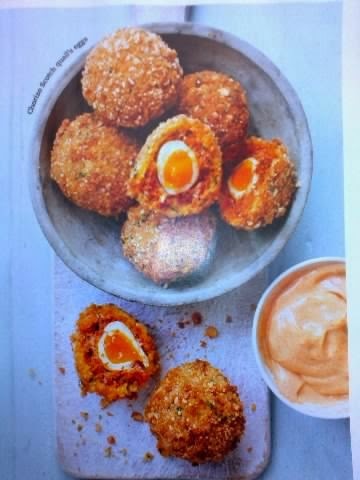 I suppose we should be thankfully for an egg of some sorts to feature over Easter, even if it is in a Scotch egg (below)! 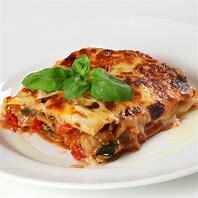 There is a featured 'Easter feast' but it is of the Greek variety - Giant butter bean stew, Slow-cooked lamb, Spinach rice, Tahini and lemon sauce and Rose baklava, all cooked by Cypriot food writer, Tonia Buxton. I must admit, the rustic starter looks good (below), but as for the lamb, it's hard to tell, other than to say that 2.5kg of milk fed leg of lamb will cost a few quid. Tonia has a little clay oven in the garden in which to cook her beast's limb and it only takes 4 hrs! She does admit that ''of course you don't need an oven in the garden''. Thank goodness for that, as I don't fancy standing out there for 4 hours in April's wind and showers. The are some very yummy cake and chocolate dishes this month, and I also liked the feature on 'Let's eat more cabbage'. Cabbage reminds me of when I was a boy in the 1950s and the endless dishes of cabbage that Mum used to serve-up on a school day. There was boiled cabbage, braised cabbage, savoy cabbage, red cabbage, white cabbage etc. 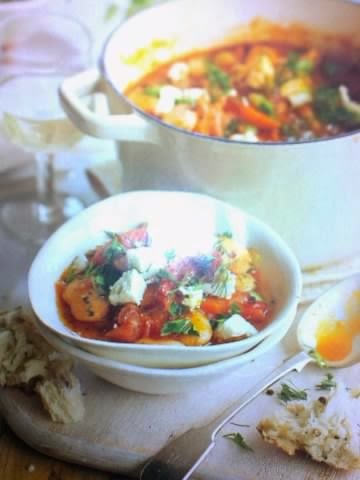 Jane Hornby also finds a multitude of uses for this versatile vegetable in Good Food this month. 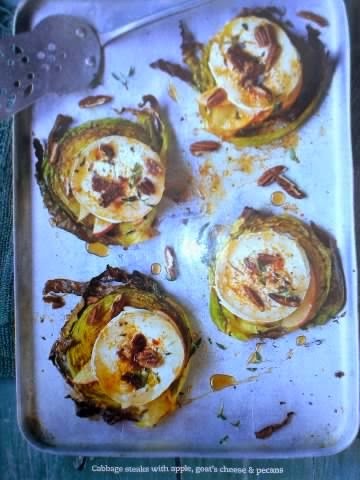 The Cabbage steaks with apple, goat's cheese and pecans look okay (below) as does the Cabbage and red rice salad. As usual, I found some of the little foodie 'snippets' of more interest than the longer features. Three of the best farmhouse butters, Community Hero and Chef's Notebook provided some inspiring reading, while the two pages devoted to the last 60 years of dinners was very entertaining and reminiscent of later-day meals. The Austerity of the 50s provided some great dishes, that I can recall, like liver and onions with mashed potato, washed down with sweet tea containing sterilized milk. The 80s meanwhile, served up ready-meals like Moussaka with cheese sauce, all 'blinged' in the new microwave. More pages on this would have been great! 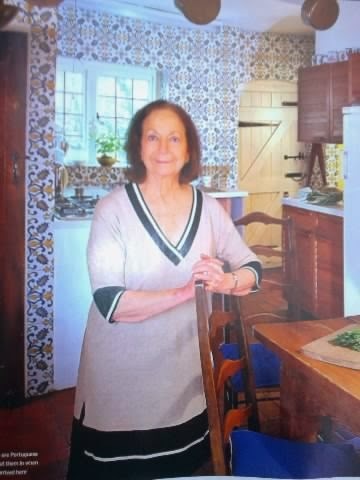 Aggie MacKenzie (below) joins other celebrities like Tom Kerridge, Mary Berry and Raymond Blanc in the March magazine. 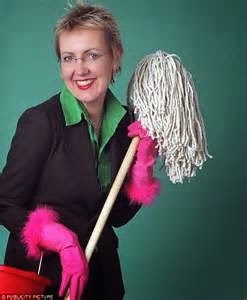 She gives readers '25 ways to make your kitchen sparkle', sharing her proven tips to keep the home spotless. There are a few new things to try here, but nothing revolutionary - all old fashioned remedies to remove pests, clean stainless steel and remove the smell of fish, to name but three. Meanwhile, Tom Kerridge offers us Fish pie of smoked haddock with cheese and leeks through step-by-step photos of his pie making technique. Okay, but very basic, like Mary Berry's Leek and bacon quiche, her Horseradish beef stew and her Lemon drizzle cake. How many more times will we be given her recipe for Lemon drizzle cake? 'Food Lover's Weekend' goes to Oxford this month and the one page article devotes space to relaxed and homely places to eat and buy good quality food in the city of dreaming spires. From Friday night bites to Saturday afternoon tea and Sunday lunch, all the weekend is accommodated, including somewhere to stay, both expensive and budget hotels. Mentioning afternoon tea, Good Food allocates a full eight pages to 'Mum's special tea' with recipes for delightful delicate sandwiches, mini bagels and loads of sweet treats, like Banana custard eclairs and a Lemon and poppy seed gateaux. 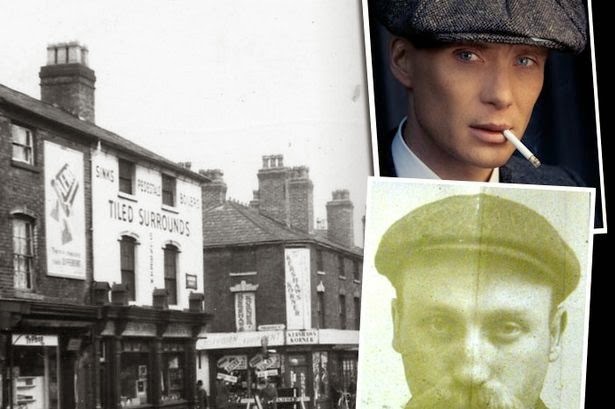 In addition, there is a page of recommended tea rooms across the UK. 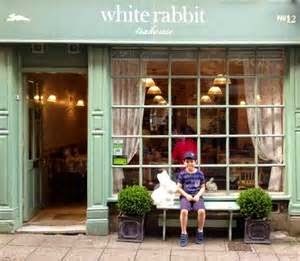 Sadly the West Midlands does not feature, with Nottingham's White Rabbit Teahouse being my nearest Place for Tea (below). Finally, I enjoyed 'My Kitchen' with Claudia Roden (below), the author of the 1990 book 'The Food of Italy'. She explains how she researched her book (that has recently been reprinted), plus Italy's regional food variety and finding Italian ingredients in the UK. As for her north London kitchen - it looks quite traditional and a little old fashioned with wooden cupboards, flowery wallpaper and terracotta tiles. Like the Good Food Magazine, it needs to move into the 21st Century sharpish! My conclusion on this month's Good Food is to give it a generous 4 out of 10. There has been little improvement since I last read it and so I am seriously considering whether I will renew my subscription!